What is the projected product life of a Panasonic module? Panasonic builds modules for the automotive, utility and medical industries, customers in these markets demand that products be available for up to 25 years. 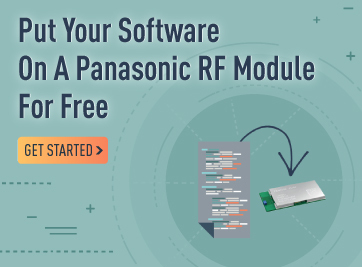 As a company that has been in business nearly 100 years, with over 50 years in high frequency products and 10+ years in RF modules, Panasonic is one of the few module manufacturers in the world that has the ability, and history, to provide customers with the stability of a 90 billion dollar enterprise to assure long product life. Panasonic commits to maintain a constant module footprint for as long as customer purchases the module in production volume. While Panasonic cannot guarantee the life of the module's components, our commitment to a constant footprint gives designers assurance that as silicon evolves, the module's interface will remain the same. Should the need arise for an engineering change, Panasonic gives customers ample notice and the opportunity to keep purchasing legacy parts for as long as possible, typically one year. To learn more about our Wireless Connectivity portfolio, click here. Copyright ©2018 Panasonic Corporation of North America. All Rights Reserved.